Will President Trump's tax reform proposal be passed into law this year? According to UBS Asset Management, which has over $700 billion in total assets under management, the stock market is drastically underpricing the possibility of Trump's tax reform proposals becoming law. If the markets were more optimistic, they claim, stock values would be much higher. There is plenty to digest when it comes to Trump's tax reform package. The corporate tax rate would drop dramatically, personal income tax brackets would be simplified and there would likely be a one-time tax on repatriated profits. While many doubt that the tax reform package will be passed, others think that the failure to pass health care reform strengthens the chances of Trump's tax legislation becoming law. Republicans will need at least one major accomplishment to take to voters for mid-term elections, and the failure to pass health care AND tax reform could be devastating to the party. Falling corporate tax rates would obviously be beneficial to the bottom lines of every corporation in the United States. The one-time tax on repatriated profits, however, could be especially beneficial for the stock market, as it would likely result in widespread stock buybacks and dividends. This would obviously buoy the markets as it would make stocks cheaper. Companies like Apple currently have untold riches stashed overseas, though they are hesitant to repatriate those profits as things currently stand, as they would need to pay a massive tax bill in order to bring them back to the United States. The tax reform package is far-reaching and many wonder how it will impact the nation's tax receipts. 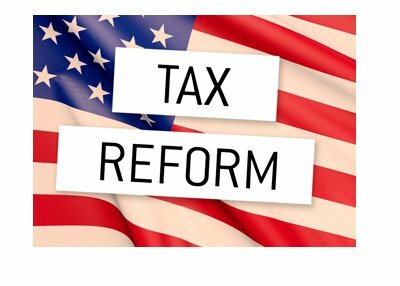 For President Trump and the Republican Party, there will be a full court press to pass this tax reform package following the multiple failures to pass health care reform legislation. The market will remain skeptical in the meantime, though the ultimate passing of a package could result in a "melt-up", as there is plenty in the package for investors to love.